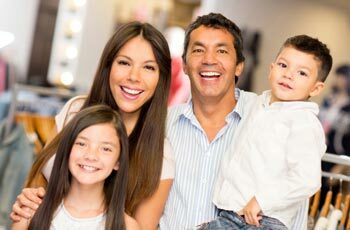 We offer a full range of dental treatments for you and your family. Whether you need a night guard to prevent teeth grinding or want to schedule your child’s first dentist appointment, feel free to schedule an appointment with our Grandville family dentists. The Solea laser is able to cut through hard, soft, and osseous (bone) tissue with greater speed and precision. The majority of procedures done with the Solea laser don’t require anesthesia. The dental laser is also able to reduce bleeding and eliminate the need for sutures. Click here to learn more about our Solea Laser treatments. If you suspect you need tooth extraction, give us a call. Our Grandville dentist will be able to extract any teeth that may be causing issues. We make every effort to save a tooth before recommending tooth extraction, so you can maintain a beautiful healthy smile. Click here to learn more about our Oral Surgery services. Do you have a fear of dentists? Our dentists in Grandville MI are able to administer nitrous oxide (also called laughing gas) so you feel relaxed during dental procedures. Laughing gas is safe to use for both children and adults and is the only sedative that quickly wears off so you can drive yourself home. Click here to learn more about our Nitrous Oxide services. Do you grind your teeth at night? A custom night guard forms a protective layer between your upper and lower teeth to prevent teeth grinding. If left untreated, teeth grinding can lead to worn tooth enamel, sore jaws, and even tooth loss. Click here to learn more about our night guard treatments. A snore guard works by opening your airway so you can breathe comfortably without snoring. Our dentists are able to create a custom anti-snoring mouthpiece so you can start sleeping better. Bite splints are used to protect your smile from nighttime teeth grinding. Click here to learn more about our bite splint and snore guard treatments. The American Academy of Pediatric Dentistry recommends children are scheduled to see a dentist by age 1 or within six months of getting their first baby tooth. Our dentists in Grandville will be able to help your child form healthy oral habits that will last a lifetime. Click here to learn more about our children’s dental treatments. Our Grandville emergency dentists are able to rearrange their schedules to see you as soon as possible. If you need emergency dental services for a knocked-out tooth or other issue, please call our office as soon as possible. Click here to learn more about our emergency dental treatments.